He benefits of having good home security are numerous. Although there are any number of home additions that help with security, one of the best precautions are having high-quality gates installed. Gates are great because they create borders to the boundary of your property. With a wide range of gates available to purchase, consider not only the intended location of the gates but also the aesthetic look that will be achieved by installing them. For high-security applications, metal gates should be selected and can be made to include barbed or spiked tops to prevent anyone climbing them. For a more appealing design and lower security installations, simple wooden gates may be sufficient. Within each category is a number of design and construction options, not to mention the various timbers that can be used to construct the gates. Gates of this design can be used for driveway applications where a solid panel appearance to the gates is required. These types of wooden gates offer good levels of security and privacy. Simple in the construction, tongue and groove gates are relatively cheap and are normally used for pedestrian access gates or small single gates. Once stained or painted, tongue and groove gates will last for many years. 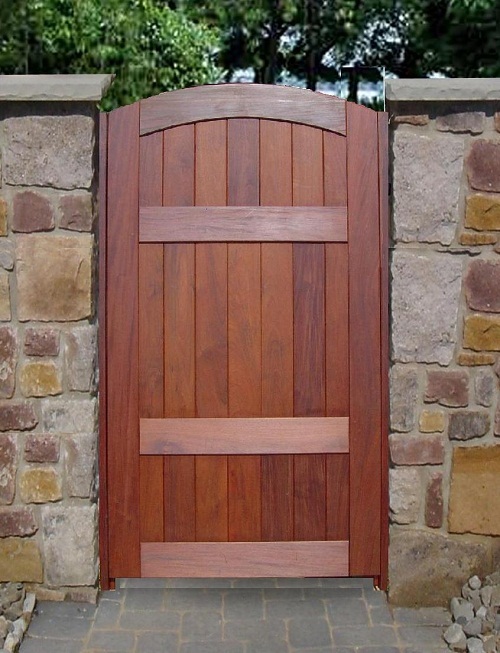 Popular in America, Picket gates are made using vertical pieces of timber fixed to a frame. The gates have equal gaps in them to allow the wind to freely blow through them. For this reason, they do not offer high levels of security, but will provide a welcome design addition to the home. Field gates are constructed using 2 vertical posts joined to horizontal timber rails. To create strength, the are braced diagonally. Popular locations for installing wooden field gates are driveways and pedestrian access. In addition to the obvious location of field entrances, sports grounds, etc. 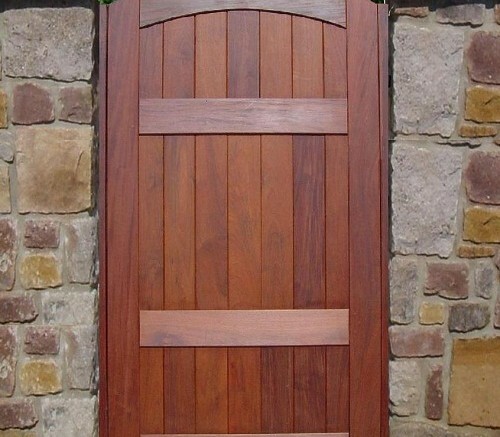 Wooden garden gates are designed to offer a pleasing design detail to enhance the look of the home and garden. Available in numerous sizes, garden gates offer an affordable, practical solution to home security precautions. Wooden garden gates can be painted or stained. For a more natural appearance, garden gates can be left untreated, and they will weather down to a silver grey finish that may look more natural in the garden environment. In addition to wooden garden gates, they can also be specified in metal. The design of metal gates can offer more detailing such as decorative scroll work and the like but are often more expensive than simple and basic wooden garden gates. Be the first to comment on "Various Gate Designs & Materials"